Our company is dedicated to our customers. 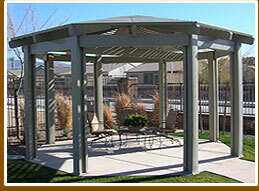 During the past 35 years we have developed an excellent reputation building patio covers and sunrooms in the Las Vegas area. 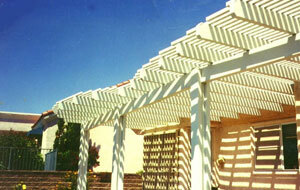 Our installation crews are employees of the company and dedicated to our projects. Many of our crews have been with us between 10-15 years; some for as long as we have been open. We never leave a job once we are on it, and always clean up after we are done. We work hard to maintain our reputation, and we will do whatever it takes to make sure our customers get what they deserve. We understand that it is vital that you are informed about the progress of your project, so we equip each of our installers and staff members with cellular phones. 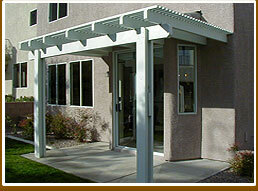 We have staff to handle permits and associations, construction engineering, services, and customer relations. When anyone does construction on your home, there are always chances for problems. There is a lot of coordination between different jurisdictions, homeowners associations, our customers, and our employees. Experience has taught us how to effectively manage these responsibilities. The Better Business Bureau has recognized our dedication to our customers and they have given us rewards for a complaint free status. 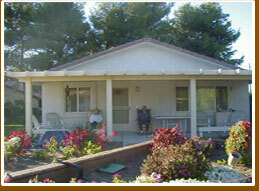 We currently work with Beazer Homes, Avante Homes, and Pulte Homes. We have developed an excellent reputation with these home builders. The reasons we are successful are because we have excellent products, great customer service, and our installations are professional and flawless. All our projects are built to code, and we always pull permits for our work. We work closely with the different jurisdictions to ensure there are no problems with your project. As a family owned and operated business, you have our word that we will do everything in our power to make each and every customer satisfied. We owe it to our community, and we owe it to you.